Image of Korea restaurant decoration is relatively simple on simple, wallpapers and art, soft furnishings, such as plant materials used in Korea's restaurant is extremely common. MU gecuo decoration was a Korea restaurant designs in the most common, because it has been Korea's mood. Korea restaurant decoration tends towards simple clean, I was impressed by the relaxed dining atmosphere. 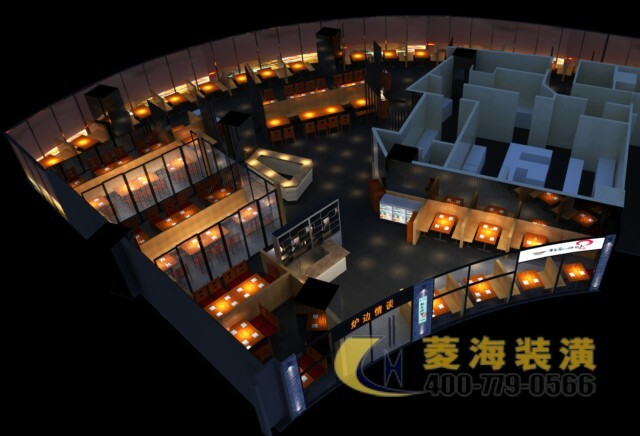 Fireside talk about Korea cuisine in the super brand Mall store is currently under construction, decoration of the restaurant being compared Yu Fang Dian road chain-oriented brand image. Restaurants facade design or design for chain stores, and in-store decoration, on the tone is consistent. Super brand mall property is extremely demanding, and door header image is uniform, facade glass wall for uniform provisions, no other decoration can be done. So how do you attract customers? Interior design has become particularly important. 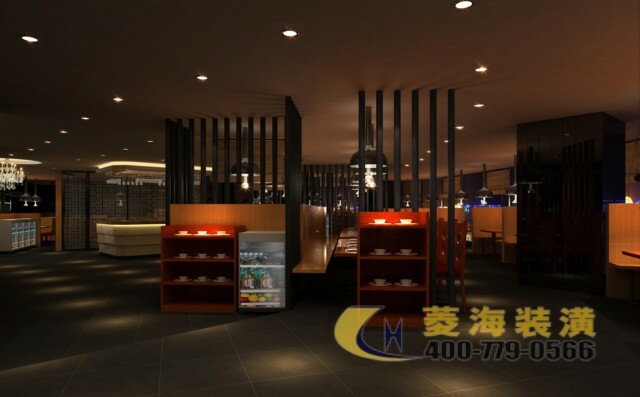 It's the perspective of Korea restaurant renovation renderings, the restaurant occupies an area of 1100 square meters, features on the arrangement of smooth lines, arranged in close proximity without crowding. Design skillfully between the closely related table on partition do you use the Pearl curtain by, not only ensuring the privacy of customers, customers can feel a warm dinner atmosphere. Korea restaurant aisle design effect can be seen on the diagram leaves more comfortable customer flow region, designers take into account and visit the super brand Mall of this mobility-intensive site, many restaurant staff crowded inside but seemed a bit messy, so in the dining room area given that fully takes into account the customer's dining environment. authentic Korea restaurant decoration environment is a more family atmosphere, Japanese Restaurant decorated with many similar places. Fireside talk about Korea restaurant design combines a number of Chinese-style elements, just like dishes shop, Korea added taste of Shanghai cuisine. 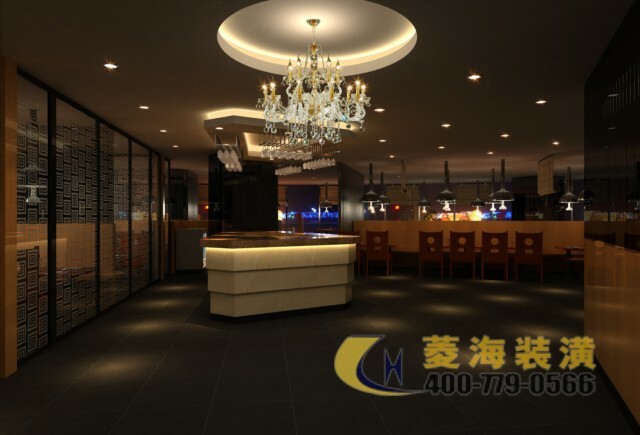 Shanghai's Japanese and Korean restaurant decoration, restaurant decoration design was adapted to local conditions, was considered in the strong exotic Chinese and Chinese people's aesthetic tastes, tone with no change, mix and wind are very popular!